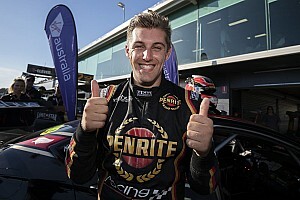 Ford and Nissan Supercars teams have both questioned the category's weight parity amid the introduction of the brand new ZB Commodore. 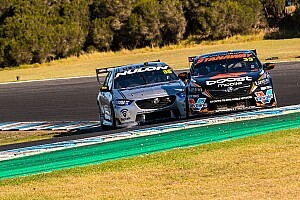 The questions centre around the homologation of composite panels for the ZB Commodore, with teams running rival manufacturer equipment questioning whether there are weight distribution benefits to having lighter panels. The composite panels would potentially allow the ZB Commodore to organically come in under the minimum weight of 1410 kilograms (combined), with Holden teams then able to place ballast to help distribution. DJR Team Penske team principal Ryan Story is among those to have raised questions about the composite panels, suggesting that there is an advantage and that his team will probably need to follow suit with its Fords. That will require re-homologation of steel panels, something Story says the series should come to the party for. "We've become aware of it over the course of the past week and it's something you need to address," said Story. 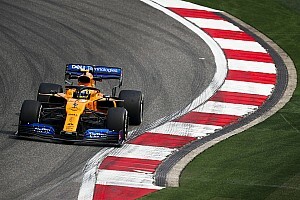 "At the end of the day, centre of gravity is king in any racecar so it's something we need to address and do so as quickly as we can to ensure that we address a modest imbalance. "Just with the release of panel weights, it gives you an indication pretty quickly. "I think a precedent's been set with some of these panels, and if we're going down the path of ensuring that we have parity, we just need to ensure that what's good for the goose is good for the gander. And the series knows that. "I think we'll see that we have the ability to fast-track and ensure that we're all on the same page and do so as quickly as we can." The issue isn't lost on Tickford Racing, which, as the Ford homologation team, would play a major role in any re-homologation of Falcon parts. "There is a situation, yes. 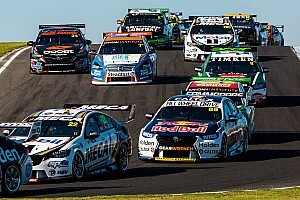 There’s certainly a few weight issues that we need to work through with Supercars," said Tickford boss Tim Edwards. "That’s what we’ll do. Teams are always making different changes. "For instance, halfway through last year we implemented a carbon rear-light bucket. Effectively we used to have behind the rear taillight sheet metal, which was an OE panel, and they’ve become harder and harder to get, so as a homologation team you submit a proposal to Supercars and say ‘we’d like to change that to a composite part’, they evaluate it and say ‘oh, yeah, there’s no performance advantage to that’ and they’ll approve it and it becomes a phased-in part. "Everything’s evaluated on its merits. Supercars will look at it, look at what we’re competing against, the part we’re looking to replace and work through a process of making sure that nobody’s taking the piss, you’re not trying to do something to the car that would give you a major advantage." Nissan Motorsport has a slightly different take on the issue, with a preference for avoiding the need to re-homologate composite panels. 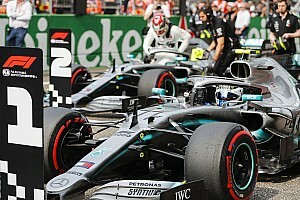 Team owner Todd Kelly is adamant he's yet to see definitive panel weights, but that he's hopeful no re-homologation is required as even composite parts should meet mandated weights. "I haven't got any of the figures yet on the individual weight, but if it's made out of carbon or steel, it shouldn't really matter," he said. "If we do find out there's a heap of panels that are a lot lighter, then the incumbent manufacturers have got a little bit of an issue to deal with. But at the moment I don't have that information, other than the chat up and down pitlane. "I've tried to find out accurate weights of panels and I've not yet received it. "It's not a very smart idea if a car comes in with lighter panels, so the rest of the category has to spend a heap of money to match it. That's the reverse of what it should be. It would be great to make these cars lighter, but that would be at great expense to the other manufacturers and other teams if we need to do that. "It's not the right thing for the incumbent manufacturers to have to change to something that's just turned up. "Aero-wise the cars are in acceptable limits, so there's no need for us to re-homologate our aero package. And the only reason why we'd re-homologate panels in composite rather than steel is to try and match the new target – but there shouldn't be a new target. Unless it stacks up to be cheaper for everyone. "But roof skins, for example, it's not very often you go skidding up the straight on your roof skin. It's not as if we use a heap of them. I'd argue that one..."
According to Triple Eight, the team behind the new car, the ZB does run more ballast than its predecessor. However, team manager Mark Dutton says its not about the panels alone. "Yes, is the short answer, but that’s more to do with evolution and hard work then necessarily panel weights," he said. "The Wright brothers didn’t fly a 747. When we build a new model, and any year before we go racing, we work all off-season to make the car as light as possible. 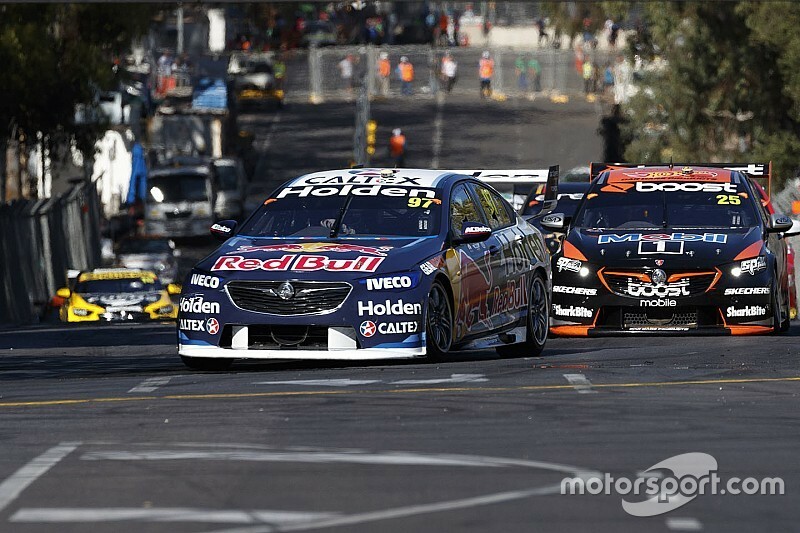 "Supercars' technical team did their due diligence by getting all of the panel weights. "They did a bonnet, a windscreen, a roof, a rear screen, for us a rear hatch, for others a boot-lid, a wing, all the different elements and then added them together. "I’m not sure if they did a full CofG study for the whole thing, but what people may not realise is the hatch has big, heavy hinges that aren’t visible. "It’s extra support on the roof, because the wing is trying to pull the hatch off. The pivot point is rule, and if it flexes or deforms anything because your mounts aren’t strong enough, then all of a sudden you’re illegal, so we’ve had to put a lot of weight in that area. 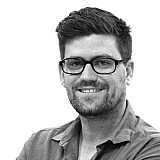 "For me, Supercars did a study, measured all the panel weights, spoke to the various teams and manufacturers and the ZB, from my understanding, isn’t the lightest." Supercars was conducting weight tests on Saturday night to confirm its existing data, results of which are yet to be made available. The ZB Commodore enjoyed a successful debut yesterday, with Shane van Gisbergen leading home fellow Holden driver James Courtney.